From gifts of knitted sweaters and blankets, to donations in lieu of wedding bonbonnieres, we continue to be touched by the different and creative ways the community donates to the Home. In this month’s giving feature, we look at the different ways the community has helped us care for the animals at the Home this winter. More than a trick for a treat! Every day we care for dogs and cats who have had a rough start in life. 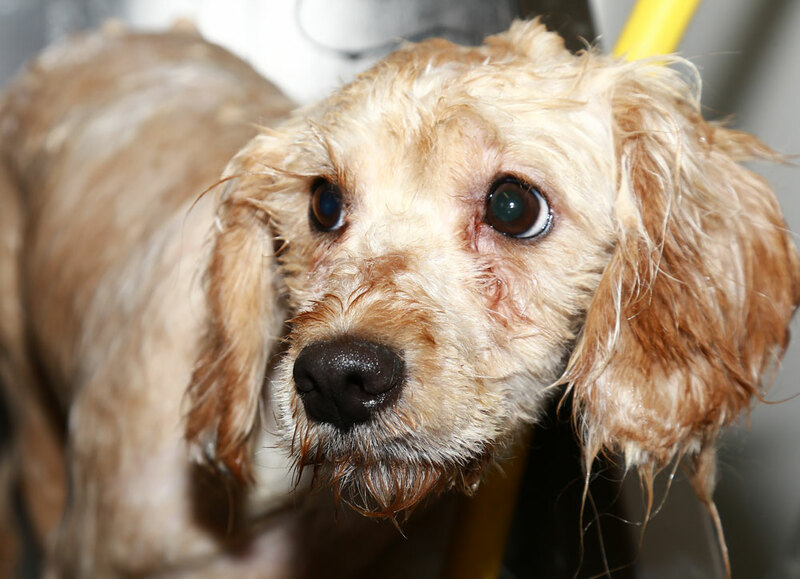 Sadly, many will have been neglected or mistreated and enter our care severely timid, suffering from anxiety and exhibiting a range of other behavioural issues. Through our behaviour and enrichment program however, we rehabilitate many of these animals, setting them up for a new beginning. 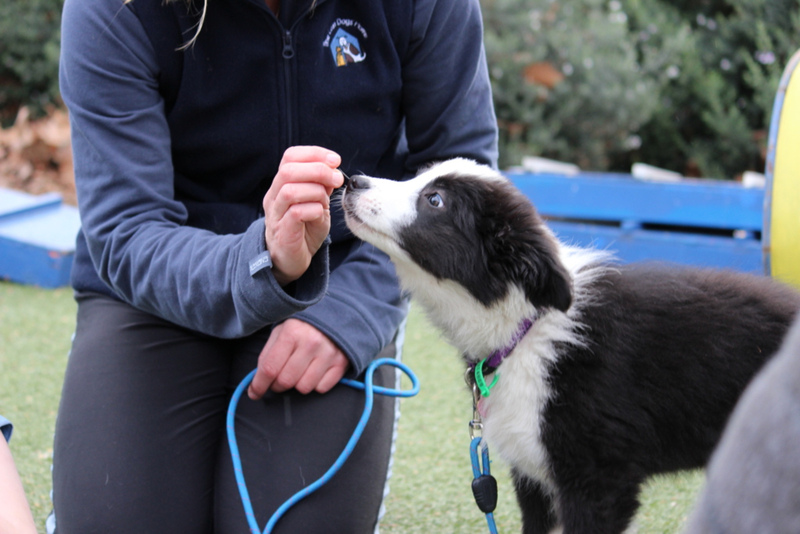 Reward based training and positive reinforcement are key ways in which we assist them – and to do so we use treats! As a result, donated treats go a long way at our shelters and we’d like to send a big thank you to Nature’s Gift for their recent donation of nutritious dog treats our trainers love to use just as much as our dogs eat! Donations to The Lost Dogs’ Home can come in all shapes and sizes. 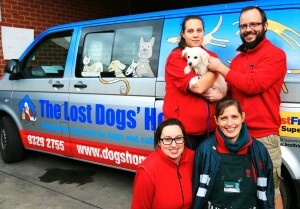 In late-May the team at Bunnings Port Melbourne generously donated 27 dog kennels, 11 bed covers and four cat doors to the Home. According to Kate Holeter, General Manager of Communications and Fundraising at The Lost Dogs’ Home, donations like these can help us raise much needed funds, just in time for the busy winter season. “Thanks to the generous donation of Bunnings Port Melbourne we have been able to sell the kennels, cat doors and bed covers to new and existing pet owners with the proceeds raised going back to the Home; helping us look after the animals in our care,” said Kate. Winter is one of our busiest times of the year for the Home. During these cold months our staff and resources are stretched to the limit caring for the large number of lost, neglected and unwanted cats and dogs. Dogs like Milly, who came into our care late last year after being found in a puppy factory, in poor conditions and severely neglected by her owners. After some time and a bit of TLC, she has gone on to find happiness in her new home. You can read more about Milly’s journey here. Unfortunately, Milly is just one of the many cases of neglect we see each and every year. But, you can help us make a difference by donating to our winter appeal. With your support, we can continue to change the lives and wellbeing of the animals in our care. Donations of $2 and over are tax deductable and you will receive a receipt for your donation in time for the end of financial year.